This imaginative but evidence-based story gives way to a kind of digest of three centuries of documentary evidence. 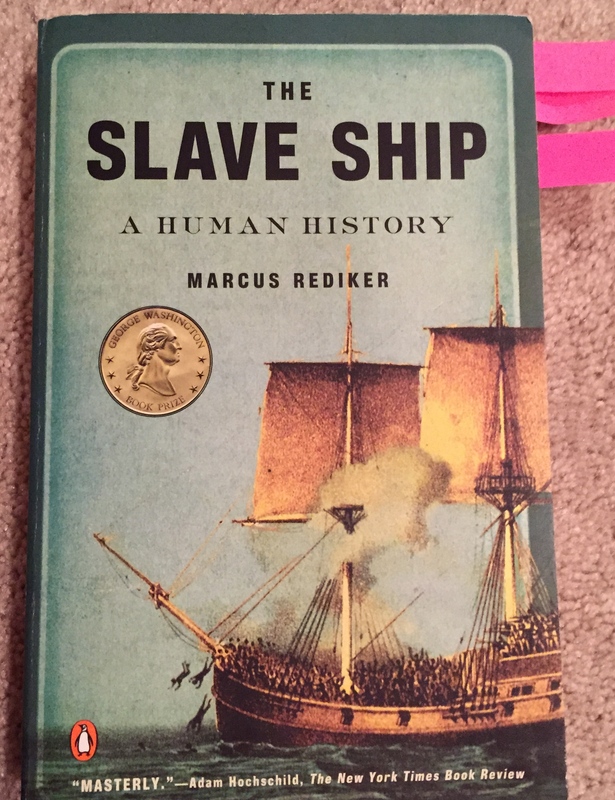 The slave ships were the paradigmatic technology of modernity, of the rise of capitalism, and at the center of the history of the political strife that is still happening. In short vignettes, Marcus Rediker, a white male historian, explores the squalor that happened on these vessels from as many angles as possible: captains and officers, the white sailors, the black captives, the merchants, the witnesses and activists who composed poems, pamphlets, plays to serve one political agenda or another. There are lots of maps and illustrations, the type looks really nice, the design is tasteful — everything about it indicates a big production from Penguin. This book was assigned reading in a transatlantic slavery course i took in undergrad but dropped (too many frat boys, and they talked too much), as was Hartman’s LOSE YOUR MOTHER. And these two works create an interesting dialog with each other.